Titan Pharmaceuticals (NASDAQ:TTNP) and Opiant Pharmaceuticals (NASDAQ:OPNT) are collaborating to explore development of a novel approach to the prevention of opioid relapse and overdose in individuals with opioid use disorder. 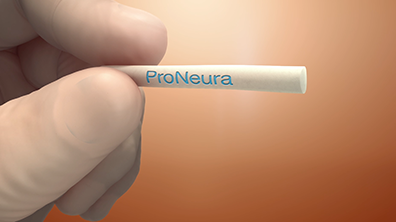 The companies will conduct a feasibility assessment of a subcutaneous implant using Titan’s ProNeura sustained release technology to administer an opioid antagonist. A product that delivers non-fluctuating, therapeutic levels of an opioid antagonist, continuously for up to six months, may be ideally suited for the prevention of opioid relapse and overdose. “Our knowledge from developing the FDA-approved Probuphine (buprenorphine) implant for the maintenance treatment of opioid addiction, coupled with the drug development expertise at both companies, should enable us to complete this evaluation relatively rapidly and, hopefully, with a successful result,” Titan president and CEO, Sunil Bhonsle, said in a statement. Opiant CEO, Dr. Roger Crystal said that the only FDA-approved opioid antagonist for relapse prevention now is a monthly depot injection of naltrexone. “A product with a six-month duration would allow patients to be opioid-free for a longer period, providing a greater window for long-term recovery, and most critically, relapse and overdose prevention,” he added. Dr. Crystal said the six-month duration would mean that patients only have to make one good decision to initiate therapy, which is important because the longer patients receive pharmacological treatment, the less likely they are to relapse and possibly overdose. Relapse and fatal overdose among individuals with opioid use disorder is significantly higher than any other type of drug addiction. As many as 91% of those in recovery will experience a relapse. At least 59% of those who relapse do so within the first week of sobriety, while 80% relapse within a month after discharging from a treatment and detox program. The risk of a fatal overdose is at its highest during a relapse. Even returning to a low dose of opioids after a period of abstinence can result in an overdose for a long-term opioid user. Opiant’s pipeline includes therapies for opioid use disorder, including advancing preclinical development of its heroin vaccine candidate, which was licensed in October 2016 from the Walter Reed Army Institute of Research and the National Institute on Drug Abuse. The company’s pipeline of nasal opioid antagonists also addresses both alcohol use and eating disorders. Opiant continues to maintain an active presence in national organizations such as the NIH, and Dr. Crystal was recently invited to testify before the President's Commission on Combating Drug Addiction and the Opioid Crisis.